The first two decades of the 20th century saw 6 prominent recessions in the U.S, with approximately 8 years of that period seeing negative growth in the economy. The late 19th century was not much better. After such a long series of economic pain it is not surprising that an ‘Us & Me‘ mentality appeared in full force as the U.S.A declared war on Germany. But the war was just one sign of the ‘Us & Me’ mentality. In 1915 the Klu Klux Klan was reformed shortly after the recession of 1913–1914. It began to grow rapidly as the Post-World War I recession hit, followed by the Depression of 1920–21. However, the Roaring Twenties soon came in force with a huge boom in the stocks and a largely prosperous economy. A mild recession took place between 1923 and 1924 and the Klu Klux Klan peaked at an estimated 4 million to 6 million members in 1924. It was after that recession when the Roaring Twenties really kicked into gear and the Dow Jones tripled in value. With stocks and the economy booming the ‘Us & Me’ mentality was replaced by a friendlier ‘You & We’ vibe. Such a vibe throughout society would not tolerate the extreme racism of the Klu Kulx Klan. The Klu Klux Klan’s members declined rapidly during the boom in stocks. Eventually it dwindled down to somewhere between 30,000 to 100,000 members by 1930, just after the stock market peaked at a record high for the time. 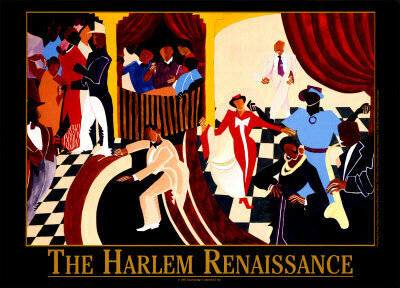 During the same period the Harlem Renaissance flourished. This was a literary, artistic, and intellectual movement of black culture. If you follow African American history you will see most progress was made during or shortly after boom periods, and the setbacks came during or shortly after declining stocks and economic uncertainty.